We recently celebrated a glorious day at Freedom Alliance for the Wounded Warrior Battalion at Camp Lejeune in North Carolina. 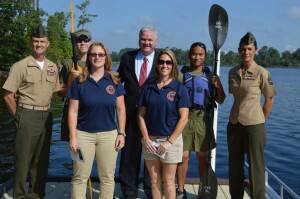 It was the happy fulfillment of a special project a long time coming when we held the ribbon-cutting ceremony for the newly finished kayak launch site. Three years ago, the Hatton Foundation donated money to Freedom Alliance so that we could establish projects that would improve the lives of wounded service members in the nation. Providing essentials such as biking equipment, furnishings for common areas in recovery units, and rehabilitative exercise equipment, the money was spent at Fort Bliss, Fort Benning, Charlie Norwood VA Hospital, Fort Knox, and Fort Jackson. In addition, we had set aside a portion of that donation for Camp Lejeune’s Wounded Warrior Battalion-East (WWBn-E), the Marine Corps’ headquarters for ill or injured Marines east of the Mississippi. Construction had then begun to build a state-of-the-art housing facility for the wounded warriors, which would include everything a Marine would need for his or her recovery—all at the one site. Simultaneously, as another form of rehabilitative activity, the WWBn established the Warrior Athlete Reconditioning (WAR) program. WAR includes archery, cycling, track and field, shooting, swimming, sitting volleyball, wheelchair basketball, and … kayaking. 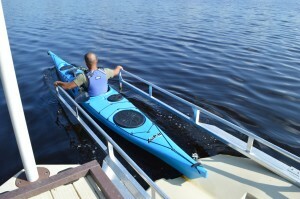 The kayaking was a big hit with the service members, however, there was a lot of frustration with having to travel to distant locations to launch. The vision for the new barracks was to be a “one-stop shop” for the wounded Marine, and there just so happens to be a small peninsula at the site, the entrance to the waterways of Camp Lejeune, which lead to the Atlantic Ocean. All it needed was a paved walkway, storage facility, and a dock that would allow handicapped boaters to launch, and which would have to be compliant with the Americans with Disabilities Act (ADA). Freedom Alliance really wanted to get this accomplished … but we needed more money! 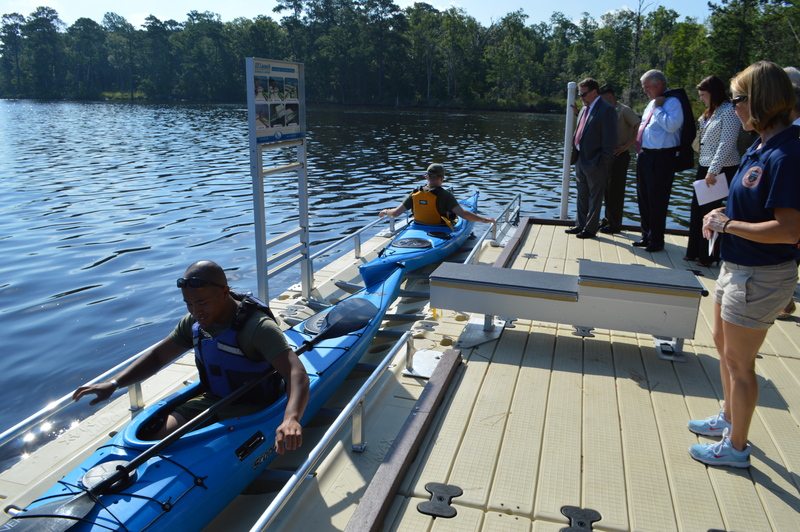 Thankfully, the Hatton Foundation approved additional funds to give these veterans the proper installation for their kayak launch. That was Veteran’s Day of 2011. Then there were legalities to wade through, including building permits. For the government to accept a gift of this proportion, a process of approval had to run its course through the Marine Corps, during which the donors are interviewed. Furthermore, the site had to be approved for environmental impact; as a result of analysis, the dock was extended an additional ten feet, so as not to disturb the floor of the bay. This required another donation, which was given by Coastal Carolina Streetscapes, the company who was building the launch! 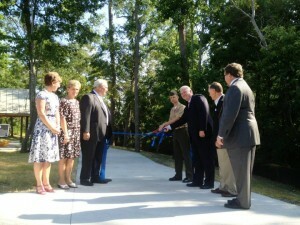 The ground-breaking ceremony was held in late April to a crowd that included the Marines of WWBn-E; the kayak program instructor; Major Baines, the logistics officer for the battalion; Coastal Carolina Streetscapes; the commanding officer of the WWBn-E, Lieutenant Colonel Davis; and Freedom Alliance President, Tom Kilgannon. Now with construction complete and ribbon cut, our heroes can enjoy the therapeutic exercise and freedom that comes from gliding across open water.